The rate at which drug addiction is taking a toll on the world is quite alarming. Children, the young and the old people are all getting hooked and the consequences of such actions are not funny either. Imagine getting addicted to substances at a young age? What will become of you by the time you are supposed to be working towards your success or building a home? There have been numerous discoveries that have been made over time. Psychoactive substances are among them. Unfortunately, their misuse has brought about the drug addiction menace. Most of the people that prefer abusing substances like cannabis or marijuana or alcohol have challenges that they wish to escape. However, is addiction not the worst solution to issues? According to multiple statistics, marijuana heads the group of the most abused drugs. Therefore, the consumption of other drugs like cocaine, alcohol and heroin take specific positions after marijuana. Regardless, most of the marijuana addicts actually prefer combining the substance with these others, especially alcohol, since a combination of the two increases the overall euphoric effects. As a product on the cannabis sativa/indica plant leaves, seeds and stem, marijuana also possesses the name cannabis, which majority of the world’s population uses preferably. The plant is known to house about four hundred and eighty three compounds, of which sixty five are cannabinoids. Tetrahydrocannabinol (THC) is the most active of these compounds since it targets your brain, immediately after consumption. It manipulates the functioning of your brain thus causing some effects due to multiple alterations of the brains functionality. Despite that most countries, including several states in the United States, consider marijuana as an illegal substance, its consumption continuously increases with time. First, drug cartels always find means to smuggle it into the regions where it is illegal, making it available to you if you know where to look. Second, some nations believe that the drug is helpful to specific individuals and thus legalize its consumption. Consequently, marijuana addicts have ample supply. The highest percentage of marijuana users are mostly young people. Some are even less than eighteen years and still in school. Others are between eighteen and twenty-five years, mostly pursuing higher learning. 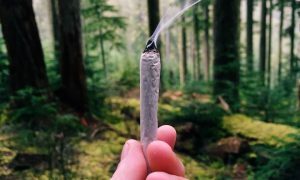 Therefore, the legalization of marijuana in any part of the world makes you believe that its consumption will continue hiking, leaving a trail of addicts and drop outs. What’s worse is that persons that encourage the consumption of marijuana, including these young people, hardly believe or accept the fact that the substance is addictive and thus risky. Therefore, this factor adds to all others mentioned above that seem to cause an increase in the number of marijuana abusers and addicts. The consumption of marijuana takes place in multiple forms. If you are an abuser or addict, you will get exposed to all these means of intake because some appear to be enjoyable while others cause euphoric effects within different timelines after consumption. Therefore, marijuana can be useful as an extract, can be smoked, vaporized or consumed in food. If you opt to smoke it, you will have to roll in into cigarettes, or put it in bongs, which are water pipes. It is also possible to smoke marijuana by putting it in partially emptied cigars, thus forming blunts. If you opt to consume marijuana by vaporizing it, you must have vaporizers, which prevent you from absorbing the smoke. These devices function by separating THC, the active component, from the drug. It then collects the vapor through a storage unit. On the other hand, taking marijuana in food form will require you to include it as an ingredient in substances like tea, brownies, candy and cookies. As mentioned above, marijuana is legally banned in majority of the nations across the world. Therefore, possessing it leads to prosecution. To avoid such issues, you will have to obtain it by using slang names such as grass, pot, bud or Mary Jane. Marijuana users and abusers have multiple reasons for doing so. Quite a number believe that using it for recreational purposes makes their lives better. Others find reasons to claim that the drug is quite good for some patients. Other groups of people find the drug sacred since it seems to connect them to certain spiritual beings. In all these uses of marijuana, there seems to be some benefits and disadvantages as stated below. According to research targeting the effect of marijuana’s effect on the human body, results indicate that the drug causes you to have both psychoactive and physiological effects. Therefore, consuming the drug for recreational reasons means you target having euphoria such as getting high and feeling relaxed. Other effects that you are prone to experience include distortion of time and space perceptions, increased awareness of sensation and heightened libido, and conscious perception alteration. Consuming marijuana in high doses results in further complicated effects upon you. They include depersonalization, visual and auditory illusions, de realization, altered body image and ataxia, which is caused by polysynaptic reflex impairment. The medical communities in some American states tend to believe that marijuana is quite effective if used for medical reasons. Their studies so far indicate that the drug is capable of improving some symptoms that are quite unbearable for patients and also treating certain illnesses. As a result, they refer to the drug as medical cannabis. Despite this believe that tends to give relief to many patients, the illegal nature of the drug causes constrictions, thus blocking the scientific study of the drug to prove that it actually does help patients. Other issues involved include federal regulations and production restrictions. Regardless, the little evidence gathered by scientists in this field greatly supports the medicinal value of marijuana. It concludes that marijuana actually helps patients suffering from chronic pain, treats muscles spasms and increases the appetite of HIV patients. Additionally, it is most helpful to cancer patients who experience nausea and vomiting due to the chemotherapy processes. Unfortunately, these medical benefits do not mean that the negative effects of the drug are invalid. Therefore, if you consume it as a patient, you are still prone to suffering from both minor and major adverse issues. If you use it for a short period, it is highly possible that you feel tired and dizzy, adding to more problems. On the other hand, consuming for long periods of time puts at a very high risk of suffering from memory and cognition problems. It is obvious that various religions have certain beliefs that are quite weird if not unfamiliar to others. This fact is proven by the fact that some religious groups actually believe that marijuana is very sacred and thus use in the shamanic, spiritual and religious context. Dating back to Vedic period of 1500 to 2000BCE, some of such religious groups based in India and Nepal used the drug for religious reasons. Also, there are facts in the Greek mythology claiming that marijuana was among the powerful substances that people consumed in times of pain and sorrow. In the recent times, such groups of people that belief in a higher power of cannabis include the Rastafari movement. Persons in this group believe that consumption of marijuana is sacred since it is effective for meditation, and is relevant as their sacrament. It is important to note that anything that causes euphoric effects upon your body can be quite addictive. What’s more, if its consumption receives support from relevant groups of people in the society, there are high chances that addiction will take a toll on the immediate followers. 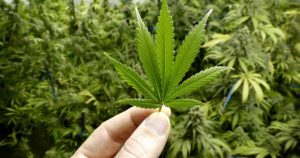 The above claims that marijuana is a medical substance explains the reasons why some states in America have legalized cannabis consumption, or are on the path to conducting such processes. Despite that the aim is medication; the drug often ends up in the possession of people that want it for recreational use. The majority of such people, who are young school children or young adults that hardly care about their future, refuse to believe in the existence of the negative side of the drug. The Food and Drug Administration tries to shield such innocent souls by refusing to approve the need to use marijuana as a medical substance. Unfortunately, this effort is not enough because those who wish to consume the drug still find a way to get a hold of it. If you are among such individuals who will get the drug regardless of the legal consequences or steal a prescription to get the supply from a drug store, it is highly likely that you at risk of drug abuse and addiction. You are prone to enjoying the euphoric effects of marijuana and if not careful, you could abuse it. Abusing marijuana begins with the frequent times that you desire to get high. You will probably become persistent to acquire the drug if you are stressed or are experiencing life issues like loss or divorce; since the drug will help you escape your pain. Since marijuana is addictive just like alcohol, stopping your abuse will become harder since consuming will become a habit with time. Continuation of this behavior will be directly proportional to the amounts you consume. This means that the more times you take cannabis, the more the quantity you will need to feel the same effects. From this angle, it is quite obvious that your body will have a high tolerance for the drug. So what do you think happens if your body is so used to a substance that is addictive and you have to take in higher amounts every now and then? The result will be total dependence on the drug. At this point, staying without it will mean loss of concentrations, some withdrawal symptoms and constant thinking about how to gain your drug abuse routine back. Some studies carried out on multiple groups of marijuana users over time conclude that marijuana and alcohol addiction are quite similar. This translates that not all recreational users of marijuana become addicted to the drug. However, a certain 10 % percent that overindulges does not get lucky and lands in addiction. Luckily, another 17% that stops on time escapes addiction, but still suffers from withdrawal symptoms. As your body builds a tolerance for marijuana, you will hardly notice since you will be vigorously chasing the effects that you are used to. So whether you take more of the drug, it does not matter since the end result is the most important thing to you. Therefore, you will hardly notice when dependence and addiction are kicking in especially if you consume the drug for a lengthy period. Additionally, mixing marijuana with other drugs like alcohol or cocaine will blind you, and thus will not notice when things begin to take a different turn. However, there are multiple signs that can help you recognize the presence of addiction. If well observed, they can assist you in seeking professional help or quitting on time. It is obvious that you will purchase a certain amount of marijuana to last your consumption for a certain period. However, you may end up consuming more than you wanted since it feels better taking more and hence no loss is felt in purchasing another sooner. This habit means that you are consuming more than you wanted to take. As a result, you will exhaust your resources now and then while purchasing more drugs to compensate for the overly consumed. At this point, it is highly advisable that you accept the possibility that addiction is creeping in. As earlier mentioned, your body builds a tolerance for marijuana as you continue to abuse the drug. This means that the same amounts of the drug that you took before will be less effective in causing the effects that you desire as time goes by. So the moment you realize that you often want to increase the quantity since the current is not working like before, know that your body is building a tolerance. 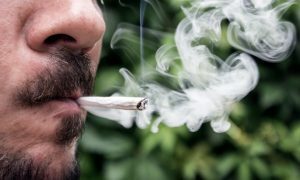 You can also notice the presence of some tolerance if you often feel the need to combine marijuana with other addictive and psychoactive substances, since they increase the intensity of high. At times you may not have access to the drug due to money problems or short of supply. Therefore, you may fail to take the drug as usual. If this happens and you begin to feel withdrawal symptoms, you should acknowledge that you have a serious drug dependency and addiction. These symptoms may include irritability, insomnia, anxiety and loss of appetite. As you continue exceeding your consumption of marijuana or increase your intake due to increased tolerance, it is highly likely that you will be high for longer periods of time. As a result, you will be unable to perform your responsibilities since you prefer being high. While under the influence of cannabis, your concentration will be affected and thus will find work, personal cleanliness and school as less important. This will definitely lead to failure and negligence which could be detrimental since you risk losing it all. If you notice such patterns, it is advisable to think back and realize what addiction to the drug is doing to you. As addiction begins to take control of you, you will begin being high very often. For instance, while beginning to abuse marijuana, you probably got high one a week. However, as time goes on it becomes thrice a week to daily. On a daily basis, you will lose many hours under the euphoric effects, meaning that you are getting addicted to it, especially if you cannot go a day without taking it. If you begin to notice this trend, you will realize that you are addicted. This habit will also explain why your performance in everything is terrible and alarming. What happens if you are constantly high on marijuana, have probably lost your job or careless about your responsibilities? You will automatically care less about other things like physical activities and recreational matters. Therefore, you will hardly indulge in any and could basically spend all day in the house getting more high. This should be a warning that nothing good is coming from your addiction, only isolation and loneliness. After noticing all the above signs, it is logic that you will feel the need to do better for yourself. Therefore, you will attempt to quit taking the substance and be more productive. However, what happens if you begin experiencing withdrawal symptoms and cannot do anything without the drug? You will definitely relapse, which is a clear indication that your body functioning is completely dependent upon marijuana. Such addiction is quite difficult to stop alone since you cannot handle the withdrawal symptoms without the help of a professional addiction doctor. Therefore, accept the marijuana addiction problem and seek help immediately. Most scholars refer to the brain as a powerful muscle. This means that it controls multiple sectors, including thinking and the body functions through multiple tools like receptors. Therefore, interference of these receptors or other brain tools leads to an alteration of how your body functions or how you think. Marijuana is among the substance that has quite an effect upon your brain. This effect depends on how you consume the drug. For example, if you smoke cannabis, effects will take place within seconds since the THC goes directly into your lungs thus accessing the blood stream immediately. As blood circulates it takes this active component to the brain. The high feeling begins immediately because the THC tampers with the brain cell receptors. These brain receptors are effective in enabling the brain development and functionality. Additionally, they react normally with the THC-like chemicals that occur naturally in your brain. So the marijuana THC binds with these brain cell receptors, disrupting the normal brain function process. As a result, your brain reacts by becoming overactive. This reaction is depicted through a high feeling that lasts depending on the amount of marijuana smoked. As mentioned above, addiction to marijuana brings a lot of negative things. As you put more time into consuming the drug, you begin to have less time for your personal things, family and friends and also responsibilities. Your personal time matters since it enables you to focus on your personal development and growth. So neglecting it derails you. Additionally, family and friends are important since they give you support in multiple ways. If you neglect them or wrong them due to your addiction, you risk breaking bonds that are hard to rebuild. Your work, school or responsibilities need ample attention for them to be successful. Otherwise, you risk losing your source of income and motivation for life. Medical treatment is the approach to overcome marijuana addiction. It may involve admission in an inpatient facility, or attending outpatient centers as well. During the rehabilitation process, you are advised to focus on getting better rather than having doubt about recovering since it leads to your relapse if not careful. Therefore, as you undergo through the detoxification process and therapies, positivity, honesty, openness, acceptance and willingness to change are the key success factors to recovery. In conclusion, addiction to marijuana seems like a joke to many because quite a number hardly believes that such addiction exists. However, here are the facts that can help you to either avoid it or seek help in case you are already consumed by it. Above all, avoid peer pressure regarding this drug and face your issues while sober.